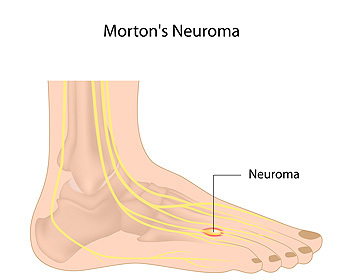 Where Is Pain from Morton's Neuroma Located? Morton’s neuroma is a very uncomfortable condition to live with. If you think you have Morton’s neuroma, contact Dr. Jeffrey Wachtel of Wachtel Family Foot Care. Our doctor will attend to all of your foot and ankle needs and answer any of your related questions.